Puddleduck Grange: 2016 Space Odyssey! HELLO! How are ya........yes I got Adele's new CD from the old pixie. I was resently asked, " are you not blogging anymore" , by the look of the last dates, I am not really sure what has happened. You long time blog friends know I love to go on about just about anything. Since the question was put to me, I have been raking through my mind the why's and what's happened. You may have heard of the seven year change up, so after some math, Yes! that could be the culprit. At this end of the 7x's table it is a muttled mess. Knowledge being power, I will embraces the recalibration and choose the positive road! First.....the year..the number, it really does cause a childish smirk. Pure science fiction in my mind. Unfortunately history hasn't taught the world much, some days, it appears as a lesson taught wrong...really wrong. But to balance, if you dig, really dig...humanity does achieve an A+. a virtual friend hurls a thought provoking brick at me! Then another shares creative medicine and another dares and teases! Swish! ......" HellO!" I have a pile of penpal letters, screaming at me, a neglected art corner , and my favorite books, collecting dust. What the Hell have I been waiting for? 29 faces is starting soon, and the challenge of a sinking economy on the horizon! Well if that isn't a challenge to my creative genius ( I can hear you laughing! daw...witch! ), nothing is! Pen, you have been here since the beginning! Let's " Keep Calm" & " Carry On"! I would love to hear from you all.....What is " hot", " must do" for you in 2016? For me....much less social media, more quality time with creative, visionaries like YOU! I'm glad you put fingers to keys and gave it a go. I too (obviously) have already viewed 2016 from a different vantage point. (looney bin) and feel the heaviness of 2016. Let's muddle on shall we? The world does tend to interfere with the important things in life, doesn't it? Like blogging! Welcome back! So good to hear from you! 2016 a year for me to come out! Can't wait to see what you do for 29 faces! I agree less social media! I'm not sure if you have noticed, but my time in social media has diminished (Facebook, mostly, since I've always been the worse with Twitter and doubt that will change). It was all right a year or so ago when there wasn't as much noise and one could actually follow what happened with one's friends. Now Facebook throws what it likes on everybody's wall and in whatever order. I tend to follow people back from the comments they leave on my wall. And when I don't hear from a good friend in a while (you sometimes *cough*), I fly by their wall and see what they're are up to. I'm glad to see you blogging, for you know this is my comfort zone, my cyber-home... I like that in blogland we don't have to reply to things at mega-speed (on Facebook people post so much that if you don't rush, you lose it). Anyhoo, can't wait to see your 29 faces, and everything else you'll share with us. It's nice to see you blogging again Debi. I've been messing about with my blogs, didn't do much at all last year and determined to do better this. I've thrown out all the sensible advice I was given about one blog as it wasn't working for me, my mind works better with eccentric then common sense. To this aim I've been busy recreating different blogs and it's made me happy. Will you be doing your mad hat party this year? I so enjoyed taking part last year. Looking forward to seeing what you do this year. 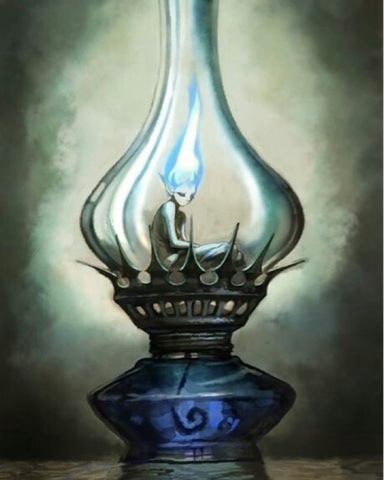 Love the flame faery picture! Yes, we always seem inundated with social things, despite my dislike of technology I still find myself addicted to looking at and resharing cute cartoons and animals on Facebook, need to break that habit! I just plan to mostly do more writing and sewing!